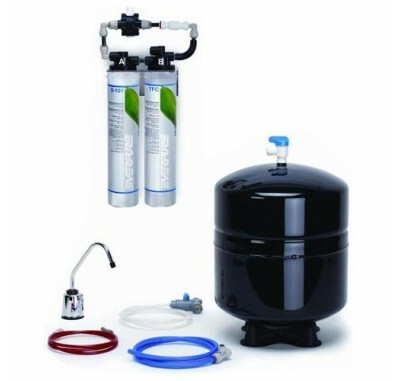 The Everpure ROM II Reverse Osmosis System finely polishes treated water to premium quality for drinking and cooking. Reduces chlorine taste and odor. Reduces dirt, rust, asbestos fibers and other particulates such as oxidized iron, manganese and sulfides. Reduces parasitic protozoan cysts such as Giardia, Entamoeba, Cryptosporidium. Reduces arsenic, barium, cadmium, chromium, copper, fluoride, lead, nitrate/nitrite, selenium, radium, cysts, sodium and chloroform. Controls even extreme levels of common off tastes and odors, including those which are earthy, moldy and fishy. Reduces lead to below the Federal Action Level of 10 ppb. 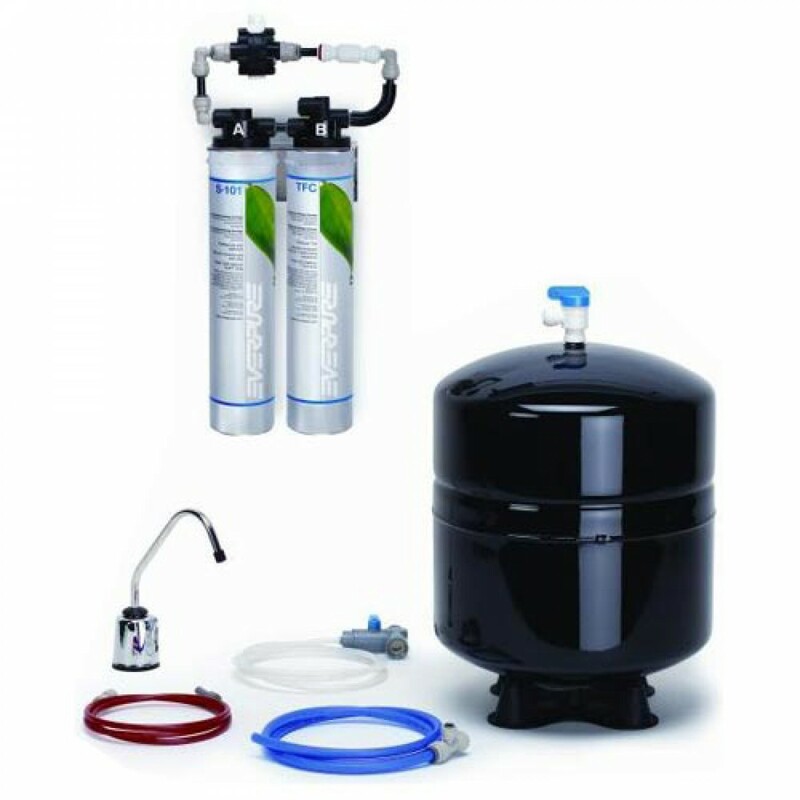 The Everpure ROM II Reverse Osmosis System inhibits limescale buildup in water-using appliances as tested by Everpure. Why are the Everpure ROM II marked 'Not for residential sale in the state of California'? This is because they have not been submitted to California for testing. This is an expensive testing process that the manufacturer has chosen not to undergo at this time in order to keep the cost of the product down. The ROM II uses the S-101 carbon block pre-filter to reduce chlorine taste and odor and other particulate matter in the water. The TFC-RO reverse osmosis cartridge then filters the water down to .00001 microns. This method of filtration reduces contaminants such as arsenic, lead, copper, sodium, nitrates, fluoride, cysts and TDS.